Manufacturer of a wide range of products which include industrial waste water treatment plants, industrial waste water treatment plant, tertiary treatment plant, water treatment equipment, raw water treatment plants and 2000 lph water processing system. 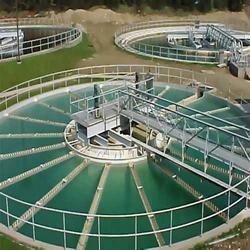 We offer Industrial Waste Water Treatment Plants to our clients at very affordable prices. We are engaged in manufacturing of a wide range of water treatment plants as per the specified requirements of our clients. These plants are acknowledged for easy installation, durability, portability, high performance and low maintenance. Used for treating the waste water generated from various industries, these plants carry out purification using chemical and biological process. 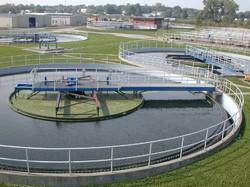 Our company efficiently undertakes the job of setting up wastewater treatment plants. 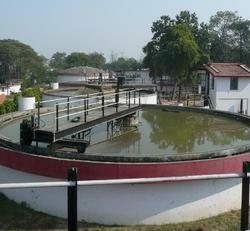 These are set up for the need of treatment of the water waste which is produced by the companies. 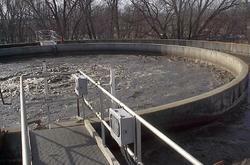 It involves the performance assessment of industry specific effluent treatment plant. Apart from this, we are also engaged in the process, system design and evaluation of the treatment facility. We sincerely perform our set of analysis and consultation on operation and maintenance of ETPs/CETPs. Further, the existing ETP is upgraded after proper evaluation and selection. 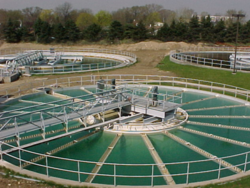 Once, our water treatment facilities are implemented treatment ability and feasibility services are conducted. We even offer advice on modification and up gradation of the facilities for achieving desired results and also to reduce production cost. We are also engaged in undertaking the turn key projects. Tertiary Treatment Plants Tertiary Treatment fabrication works offered by our specialist are one of the highly demanded waste water treatment plants amongst our clients. 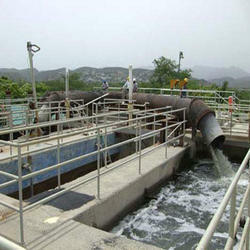 Tertiary Treatment Plant carefully treats the waste water from the outlet to the secondary stage of an ETP or STP. Our specialist are well-trained to carefully fabricate these tertiary treatments in order to affluently provide the effective results as per the needs of our clients. We have with us rich experience in successfully handling the demands of precision designed and optimally functioning Industrial RO/ Reverse Osmosis Plants. 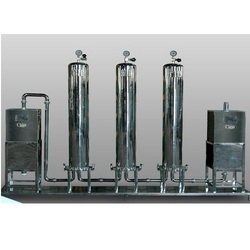 These industrial reverse osmosis Plants can be also made available in customized specifications with configurations to suit individual requirements of output water that varies from normal drinking application to usage like in pharmaceutical production, food processing and as boiler feeding requirement. Here, our expertise lies in offering industrial reverse osmosis plants in different flow rates for 100 LPH to 25000 LPH with the TDS reduction capacity that goes as high as 90-99%. We offer Raw Water treatment Plant which is very efficient in performance and is used widely for water purification purposes. The mechanism in Raw Water treatment Plant is of pressure difference in membranes is used in these systems to purify the impure water. 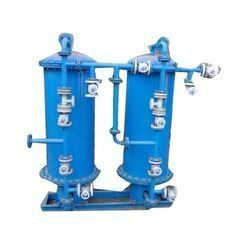 Moreover, the output water can also be fed into the pretreatment plant as well as post sterilizing machines in order to purify the water as per the user’s needs. canadian crystalline is the largest manufacturer of Bottled Water / Mineral Water / Soft Drink processing equipment in the Asian sub-continent. 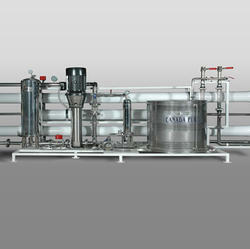 Canadian Clear has a large range of equipments to suit the ever growing package drinking water industry. The Bottled Water Mineral Water Soft Drink processing plants are specially designed to meet the highest standards of quality and shelf life in accordance with IBWA, ABWA, ECC and BIS guidelines. Water is one of the basic necessities of human life. Potable mineral water is good for health because it’s free of impurities and optimal for drinking. Our company manufactures and exports highly efficient Mineral Water Plants which can be customised to your every need. Our equipment are manufactured with high quality material and are highly durable. 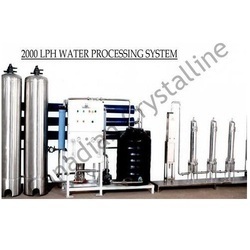 We are one of the most prominent and reliable companies dealing in manufacturing and supplying quality and advanced 2000 LPH Water Processing System. Purifying waste water into potable drinking water for common use, these plants have carved niche for themselves. These plants are very efficient and widely used by our customers all over the market. Equipped with high precision components, these are manufactured utilizing advanced technology and expert’s knowledge. 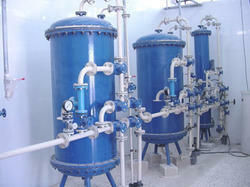 Along with this, these waste treatment plants for drinking water are available in the market at suitable price. Incorporated with the latest technologies, Compact Waste Water Treatment Plant is idyllically designed to purify the waste water to make it worth usable. These plants are manufactured in conformation with the industrial quality standards by using the topnotch quality carbon steel and technologies based on setting under gravity system. To meet with the variegated needs of our wide client base, this range of plants is available in categories like fully underground sewage treatment plant, above ground sewage treatment plant and partly above partly below ground sewage treatment plant. 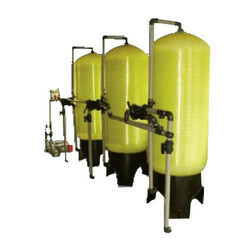 We are a Leading Manufacturers & Supplier of Compact Water Treatment Plants. Our tremendous success in this highly competitive sector is solely credited to the resources owned by us and our manpower being one of them. We have a team of professionals who have immense in handling has sophisticated manufacturing process and later in providing effectual turnkey services to our clients. We have an excellent infrastructure to design, engineer, manufacture, carry out erection and commissioning the complete range of water treatment plant and systems to suit various requirements. We are reckoned for manufacturing best quality Demineralisation Plant. The offered plant is known for its perfect finish, quick installation and resistance to abrasion. Highly regarded for its high performance and longer service life, the entire range of the demineralization plants offered by us is widely considered among our valued clients. We also design and supply Demineralization Water Treatment Plants for treatment of raw water for process and for use in boiler or cooling tower. These plants are designed based on the raw water parameters and the expected treated water parameters. We supply these in different sizes to cater to different flow rates. Canadian Crystalline ranges of softeners are from standard packaged- type-skid mounted and large custom build installation. Units are available manually controlled or semi or fully automatic. The units are perfectly engineered to ensure trouble free and long lasting service with minimum operating and maintenance cost. These are the water treatment plants where the raw water having high concentration of total dissolved solids is passed through a hydrogen based cation resin bed where all the positive ions in water are replaced with hydrogen ions from the resin and water coming out of it is free from positive ions. Our company is well-known in the domain. 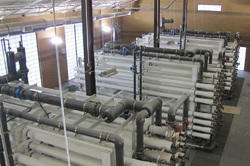 Our Ground Water Treatment Plant is accurately designed with advanced technique and technology. Known for their best performance and high efficiency, offered treatment are highly demanded in several industries. We present these services in various specifications and norms. Our professional vendors use the top quality raw material and technology that has known in the domain. We are one of the most prominent and reliable companies dealing in manufacturing and supplying quality and advanced Waste Treatment Plant. Purifying waste water into potable drinking water for common use, these plants have carved niche for themselves. These plants are very efficient and widely used by our customers all over the market. Equipped with high precision components, these are manufactured utilizing advanced technology and expert’s knowledge. Along with this, these waste treatment plants for drinking water are available in the market at suitable price. 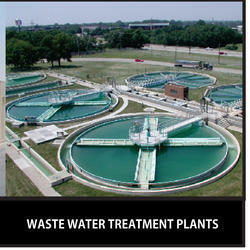 We have involved n the manufacturing and supplying of a massive range of Industrial Water Treatment Plants. These are highly regarded for their sturdy construction and anti-corrosive properties. Owing to their longer service life, fine finish and hassle-free performance, the entire range of the water treatment plants offered by us has garnered words of intense praise among the clients we have. Far more precious than gold or silver, a little more crucial than petrol and as vital as oxygen, yes, we're talking about water. We know that 75% of the world's fresh water resources are contaminated, the remaining is fast disappearing. Soon how well we survive will depend on how well we conserve water. Thankfully technology has advanced enough to offer us choices in water conservation. One of the most reliable way to do today is by recycling water. We at Canadain Crystalline "Silver Stream" present you a reliable method to recycle water through our superior, pre-fabricated packaged waste water treatment plants. These plants have the capacity to completely treat and cleanse waste water and make it suitable for various activities like Landscaping, Floor Washing, Gardening, A/C Cooling Tower and Toilet Flushing applications. They truly lend a helpful hand in reducing the load on natural water resources. Canadain Crystalline newly developed technology has resulted in machines with better efficiency, less power consumption and is more compact in terms of size and weight. 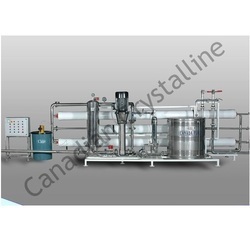 Canadain Crystalline "Silver Stream" MBR adopting membrane filtration process requires less space and yet provides higher treatment performance compared with the conventional treatment systems. Canadain Crystalline "Silver Stream" MBR sets 2 or 3 membrane modules in a vertical formation, containing multiple membrane modules. Pumping wastewater through the membranes effectively treats the water. 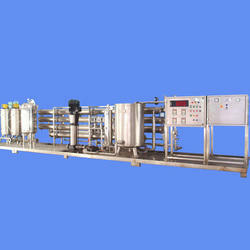 We bring forth an outstanding range of PLC Based Water Treatment Plants, which has fetched high demands in the market. Known for removing impurities and germs, these are highly acclaimed in the market. 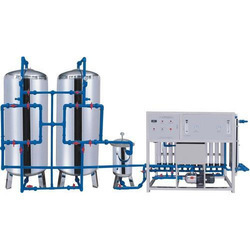 Made in compliance with the industry set standards, the whole range of the water treatment plants offered by us is assured of the invincible quality. Canadian clear is specialized in mineral water and bottled water projects and the equipment are tailor made. In addition to the above Canadian clear product range meet the industries expanding requirement for treated water of varying purity level for a wide range of applications. Canadian Clear Water treatment systems are available from standard package type to custom built installations for high purity water. 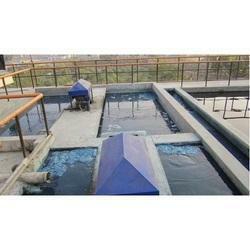 Canadian Clear” can design, manufacture and supply clarifiers as per customer requirement. Clarifier is a unit, which is provided to reduce the escape of suspended solids and bio-mass with the sewage. It consist of circular/rectangular tank with a clarifier arm to scrape down the settled sludge through the sloped hopper to the sludge pit from where it is taken to the sludge treatment units. 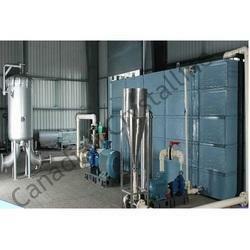 Canadian Clear” can design, manufacture and supply Lamella Clarifiers/Tube Settlers as per customer requirement. Lamella Clarifier/Tube Settler is a physical unit, which is provided to remove suspended solids from the wastewater. The flocs which is form in the flocculator is allowed to settle down the by means of gravity settling. It consists of rectangular tubes / plates, which is placed at an inclination with respect to horizontal. When the wastewater is allowed to pass through the tubes/plates, water tends to move-up while the solids naturally move down because of gravity. The settled solid is collected in the sludge pit at bottom of the tank and it is taken to the sludge treatment units. We offer prefabricated units in MS-FRP and in Civil based systems. “Canadian Clear” can design, manufacture and supply DAF System as per customer requirement. 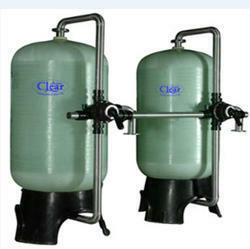 Dissolved air floatation system is a physical unit, which is provided to achieve nil TSS. FeCl3 (ferric chloride) along with Alum and Poly electrolyte is dozed to support flocculation and sedimentation of total suspended solids. DAF equipment is particularly successful in Paper Mills, Tanneries and in other industries. We offer prefabricated units in MS-FRP and in Civil based systems. Canadian clear silver stream filters provide crystal clear water of turbidity level of less than 2 to 3 mg/ltr on Silica scale. Horizontal and vertical filters are available in a complete range and sizes upto 3600mm dia Normal filtering medium employed is clean, sieved and grade quartz and fine sand. For applications like iron removal, chlorine reduction special type filter media are available. A wide range of chemical dozing equipment is specially designed by Canadian clear for specific water quality requirements. 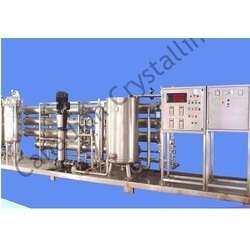 For mineral water industry special TSS and Absorption Filters designed to meet the specific water quality level. Excellent oxygen transfer-Corrosion prevention-Competitive price etc. 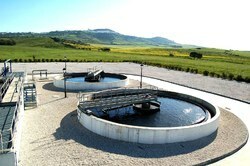 Our firm also offers Textile Industry Waste Water Treatment Plant to all our reputed clients. These Textile Industry Waste Water Treatment are very well-known for their high grade qualities and services and have been expertly designed and fabricated by our highly trained professionals. Almost all industrial processes using water as a cleaning or washing agent, Industrial Waste Water Treatment Plant have to dispose of water contaminated by process raw materials or consumables. Such polluted water called industrial effluent is not allowed to be released on the ground or in an aquifer unless it is treated to meet certain statutory norms. Some of these industries release highly polluted effluents requiring exhaustive treatment. We design, manufacture and install plants and systems which, treat such pollutants and reduce pollutant levels in treated water to acceptable levels. Such industries could be dairy, leather tanneries, textile processing or dyeing units, food processing industries, electro plating industries, paper industries and many other industries use our Industrial Effluent Treatment Plants to treat their waste water. We are one of the most prominent and reliable companies dealing in manufacturing and supplying quality and advanced Waste Treatment Plants. Purifying waste water into potable drinking water for common use, these plants have carved niche for themselves. These plants are very efficient and widely used by our customers all over the market. Equipped with high precision components, these are manufactured utilizing advanced technology and expert’s knowledge. 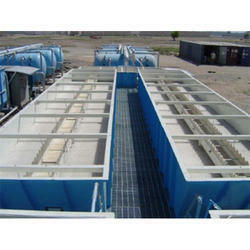 Along with this, these waste treatment plants for drinking water are available in the market at suitable price. With the assistance of our team of professionals, we are involved in rendering the finest quality services for Waste Water Treatment Plant. 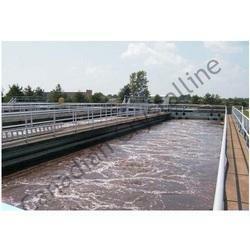 These plants are installed by our skilled professionals for ensuring high water production rate in various industries. Offered installation services are provided by our adroit professionals using sophisticated technology at par with the current market evolution. Apart from this, our offered services are widely known for their client-centric approach and timely execution amongst our clients. We have an offer of effective water treatment plants which are automated to remove several cations and anions from the contaminated water. Our plants are entirely free from virus attacks and bacterial elements. These systems are durable, automatic, reliable and trustworthy to offer efficient and safe operation. Acute Shortage of water which mankind faces today is due to rampant pollution and extravagant use. Treating water with care to meet the quality requirement is the need of the hour. We at Canadian Crystalline, remove pollutants from wastewater, recycle and recover the other valuable products for reuse, reducing waste and pollution, in short, protecting the environment. We offer ultra advance technology to purify the contaminated water and make them suitable for various applications. Our capacious machinery and well furnished plants enable us to execute various modern and latest technological treatment processes of the waste water. We are one of the most prominent and reliable companies dealing in manufacturing and supplying quality and advanced Water Treatment System. Purifying waste water into potable drinking water for common use, these plants have carved niche for themselves. These plants are very efficient and widely used by our customers all over the market. Equipped with high precision components, these are manufactured utilizing advanced technology and expert’s knowledge. Along with this, these waste treatment plants for drinking water are available in the market at suitable price. Filtration System A water filter removes impurities from water by means of a fine physical barrier, a chemical process or a biological process. We offer a wide range of water filtration systems that provide you clean & healthy water to use. Designed to meet the stringent requirements of clients these include. The entire ranges of filter are available in different MOC like FRP, MS, MSRL etc. They are available fully automatic, remotely operated, manually operated or with multiport valves. Activated Carbon Filter The principal media in these filters is activated carbon. Other supporting media include pebbles of various sizes, crushed gravel and silex. The activated carbon is a highly porous media. This property of carbon allows it to adsorb the free chlorine in raw water. Also organic matter present in colloidal form is adsorbed in these pores. Thus odour emanating from raw water on account of these colloids is reduced. The activated carbon present in the standard range has an iodine value of 450. Our filters work on the principal of depth filtration. The principal media in these filters is quartz grade sand and anthracite. Other supporting media include pebbles of various sizes, crushed gravel and silex. The major advantage of this kind of filters is that anthracite which provides for coarse filtration is lighter than filtering sand. Due to which one stage of coarse filtration takes place on the anthracite bed and the next stage takes place on the sand bed. Thus, depth filtration is achieved. Since both media (viz sand and anthracite) are employed their capacities the dirt loading capacity of these filters is twice that of pressure sand filters. Hence these type of filters are more capable and gave high performance. 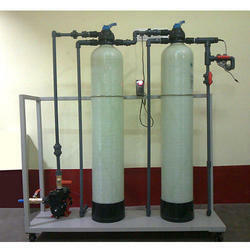 We are engaged in manufacturing and supplying a wide range of Water Treatment System. Our tremendous success in this highly competitive sector is solely credited to the resources owned by us and our manpower being one of them. We have a team of professionals who have immense in handling has sophisticated manufacturing process and later in providing effectual turnkey services to our clients. We have an excellent infrastructure to design, engineer, manufacture, carry out erection and commissioning the complete range of water treatment plant and systems to suit various requirements. We at Canadian clear "Silver Stream" present you a reliable method to recycle water through our superior, pre-fabricated packaged waste water treatment plants. 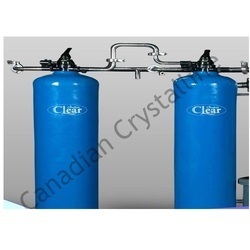 Canadain Crystalline Group of Companies was established in 1972 to overcome the need for pure potable water for drinking and for industries. 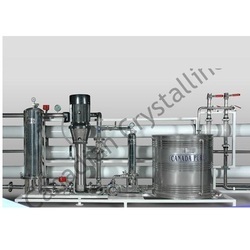 In Canadain Crystalline our Research and Development wing have worked to design, develop, manufacture complete Water Treatment and Purification System. Canadain Crystalline"Silver Stream" MBR sets 2 or 3 membrane modules in a vertical formation, containing multiple membrane modules. 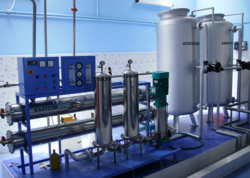 To meet the precise demands of clients, we manufacture and supply a qualitative range of Water Treatment Plants. Precisely engineered these plants are acclaimed for effective treatment and versatility. 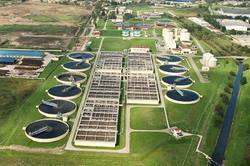 We offer both energy recovery system as well as waste water treatment plants as per our customers’ demands. The allied plants are suitable to use for flushing and gardening purposes. Our plants are easy to install, operate and maintain. Being a client centric organization, we are also engaged in manufacturing and supplying technically advanced range of Mobile / Compact / Packaged Water Treatment Plants. These plants are suitable for water treatment in residential as well as industrial areas. The working of these treatment plants is based on different chemical processes such as coagulation and flocculation, precipitation, Reverse Osmosis and ion exchange. 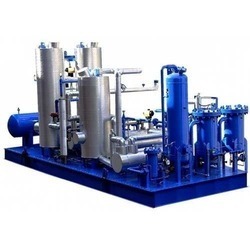 Offered range of treatment plants are widely used for removing suspended solids from lake and river water and decreasing of the BOD and COD levels of water. These treatment plants are suitable for water treatment during calamities or for usage for a mobile unit like in the case of army regiments units and are also used for the extension or replacement of an existing water treatment system. Customers can avail these plants in different capacities ranging from 5 to 25m³/h and at market leading prices. Canadian Clear group of companies was established to bridge the gap between demand and supply of potable drinking and fresh water for industrial and residential purposes. Since its inception in 1972, for four decades it has successfully designed, manufactured and commissioned a number of water treatment plants with indigenous and foreign technology. Canadian Clear advanced research and development wing has developed systems for various applications in prime industries like off shore oil rigs, fertilizers, hospitals, refineries, etc. 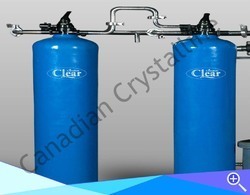 Conventional water treatment concepts blended with Modern technology is offered by Canadian Clear in their pressure sand filter, activated carbon filter, demineralizers, softener, iron removal filter, fluoride removal of plants ozonators, ultra violet sterilizers, ultra filtration, micro filters, nano filtration, electro deionization, reverse osmosis system and so on. 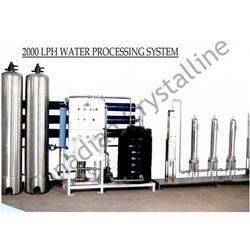 Water Treatment System offered comes designed and developed using latest technology support. Filling equipment coming with bottle neck holding transmission technology for allowing automatic sterilization, rinsing, filling and capping. All electrical elements used are of international standards. Demineralisation Plant Demineralisation Plant makes the underground water clean and fit for applications. Operating on the principle of degasification, ion exchange and polishing, the plant works on the technology that is one of the cost effective solutions for the treatment of water. In the process, all the present anions and cations are converted to their respective acids, leaving behind only hydrogen and hydroxyl ions that combine to form pure water. We are the topmost company involved in the manufacturing and supplying of Demineralized Water Systems. Based on ion exchange technology, these systems comprise two vessels filled with strong acid cation exchange resin and strong base anion exchange resin. Cation resin removes cation ion like calcium magnesium, sodium, etc. Anion resin removes anion ion like chloride, silica, SO4 etc. To add on, these are offered at cost effective prices. Backed by a state-of-the-art infrastructure facility, we are capable of manufacturing and supplying a vast range of Water Demineralization Plants. Based on reverse osmosis technology, these are widely considered among our customers. In addition to this, the entire range of the water demineralization plants offered by us is highly popular for its easy maintenance and longer functional life. Our demineralisation plant performs efficiently in purifying and removing varieties of impurities from water. Equipped with advanced filters, our demineralisation plant helps in faster removal of pesticides, bad taste, odors, colors and related harmful chemical contaminants. Water treatment through demineralized water system makes water safe for drinking by using different types of ion exchanging resins. Our company is among the best rated companies which deal in the manufacture and supply of DM Water Plant. 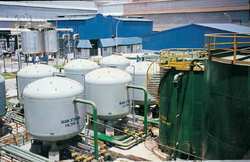 We offer wide array of dm plants, which is manufactured with finest quality material using recent technology. Further, these plants utilize demineralization process for removing the mineral salts from water by ion-exchange. In addition to this, these are available at leading market prices to our valuable customers.